I have waited for this for so long and so has my father rest his soul. #CUBS . The #Cubs and Dodgers are underway. @kylehendricks28 first pitch at 7:09. 61 degrees. Winds out of SW at 5 mph. Here we go... let's go #cubs ???? Inaccurate #stats spouted by a 9 year old watching #baseball . 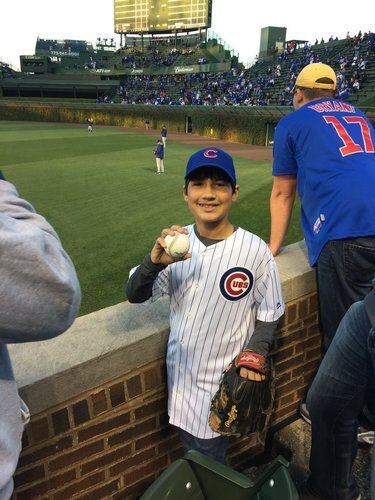 Tonight could be the biggest night in two generations for #Cubs fans. Go @Cubs Go! And remember to #VoteTrumpPence16 November 8th. No team wants to give up tonight. Anything can happen. So do what you can, Cubs and #Dodgers ! This is for you, #Cubs fans. 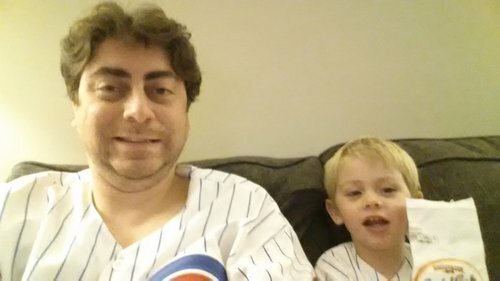 Rompera la maldicion de la cabra los #Cubs O veremos un 7 mo juego ?